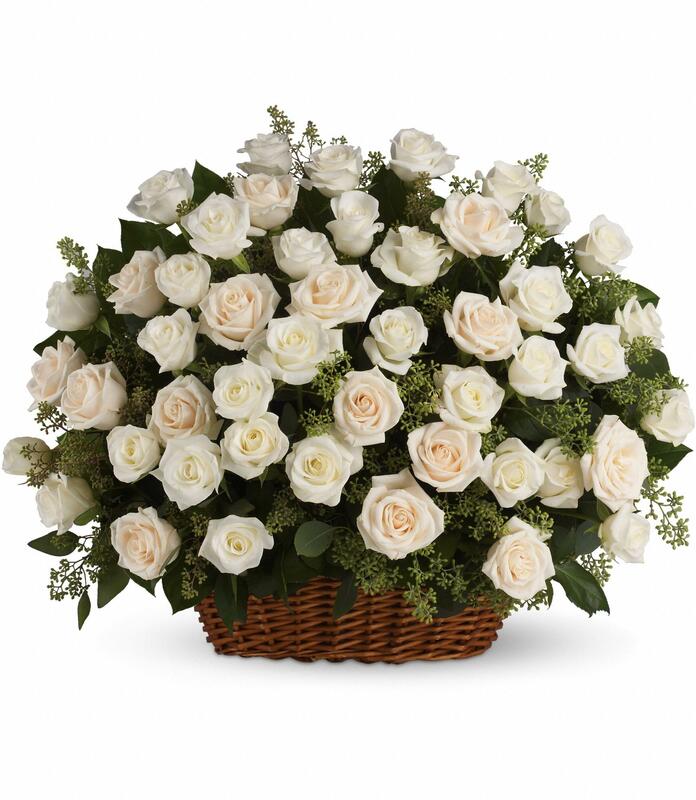 Basket of 75 white roses with greenery. Basket of 75 white roses with greenery. White, the color of purity and fidelity. Basket for a single.